Pregnancy is the greatest gift from nature to women. Pregnancy and childbirth have wonderful importance for the life as a woman. It is the trust of both men and women both. Since a woman carries the baby in her womb, most stress is given to her health. So that she develops into capable enough to nourish and give birth to her baby. During this period, a woman requires great care and care from her family members. Ayurvedic pregnancy conception also advises for a healthy relationship between the couple. 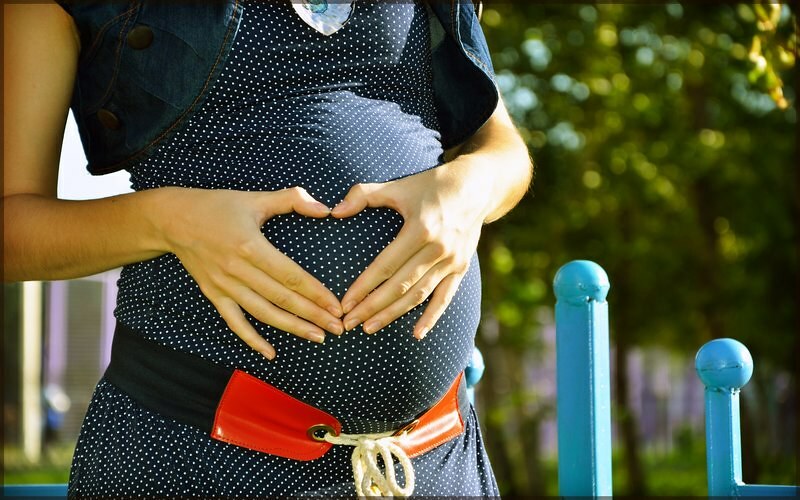 When Ayurveda answers the question- how to conceive a baby- it highlights on conceiving baby naturally that is healthy in all aspects like mentally, bodily, emotionally and spiritually. Ayurveda meditates on food the first and most important process to achieve good health.Ayurveda advises some set of rules, that are very essential for every pregnant woman. It includes various details related to (ahara) nourishment (vihara) way of living and (vichara) meditation process which women have to obey at the different periods of pregnancy. Furthermore, the food we eat finally gets converted into ‘shukra dhatu’ and ‘ojas’ and in revolution plays a significant role in heightening the reproductive capacity of both men and women who is important for pregnancy insemination. Apart from diet, Ayurveda also puts importance on some lifestyle modifications as well as herbs to develop fertility of both men and women in order to obtain pregnancy concept and to conceive baby naturally. Care through each month of pregnancy (Antenatal Care) is termed as Masanumasiki (month-to-month) Chikitsa (treatment) in Ayurveda. Ayurveda follows the different remedial approach for the different months of pregnancy. According to Ayurveda, a distinct dhatu (a body-building substance) is shaped in the different month of pregnancy in the body. Ayurveda also helps in controlling other ailments related with pregnancy; for example – acidity,diabetes,nausea,high blood pressure, edema or premature birth. Generally most women undergo Nausea and Vomiting as a result cannot take proper diet. So in the course during this period it is very essential to pacify the vata dosha in other ways if the vata dosha is not checked, it may can cause Miscarriage. Thus, licorice must be taken with honey and butter. Similarly, in the second month milk with several herbs like Kakoli (Gymnema balsamicum ) have to be taken. In this period, one must eat a sweet, light and liquid nourishment this prevents dehydration, which may cause due to immoderate vomiting and provides nourishment too. Furthermore, One can eat Rice cooked with milk (Paayasam), milk with honey, Khichari, fresh fruits and green leafy vegetables. During this period, the muscular tissue from the fetus grows, and so it desires more proteins. During this stage powder of Shatavari ( Aspagarus racemosus ) and Yastimadhu ( glycrriza glabera ), 5gm each if possessed with milk twice daily will help a lot. Again in this stage one should eat food, that contains protein-rich diet and edible food like spinach, cabbage, sprouts, white butter ( ghee ) , broccoli, fresh cheese, eggs, all kinds of nuts, banana, papaya, carrot, soyabean, rice with milk ( paayasam) , vegetable soup, etc. By the completion of the second trimester, the majority of the woman undergoes from dropsy of feet and problem related to watering accumulation within the body. Thus for the time of this period Gokshur ( Tribulus terrestris)is a good diuretic and thus stops retention of water powder, five GMs can be taken with ghee. Furthermore, powder of Shatavari, Yasti madhu and shigru ( moringa oleifera ) have to be boiled with milk and taken. The use of medicated ghee Like Shatavari ghee is also suggested during this period onward.Apart from this one must carry on with the protein-rich diet as been as suggested. Along with this one can eat sweetened yogurt for the time during this period. During this period, the women require the food and herbs that smother the Pitta and the Kapha Doshas, which are Diuretic, Anabolic and ease emaciation. The herbs like Ashwagandha ( withania Somnifera ) , Bala mool ( Sida cardifolia ) , Shatavari, Gokshuradi Churan is very helpful during this period. Furthermore, the tablets like Sapthamrit loha, Dhatri loha and yastimadhu are very useful. In the diet carry on with the protein-rich diet and foods like cereals, lentils, tofu, peas, fresh cheese, soya, sugar and rice. During the eighth month, the majority women suffer constipation, therefore Anulomana that is controlling of vayu (proper bowel movement) and calming down the vata is also very significant. The Enema treatment during this period is highly benifical. Firstly, the kshaya Enema (With Decoction of herbs) should be administered followed by Medicated oil enema. (This should be done under the direction of specialist only). During this stage calming down the Vata Dosha is remarkably important. In these periods, anuwasan Basti with oils ( medicated oil enema ) and also enema with satavari ghee should be provided. Yastimadhu and Shatavari should be eaten regularly. Use of enema soothes the constipation, and also it puts on the sovereign nervous system governing the myometrium. Furthermore, it controls the development of vayu (gas) in its accurate direction; that comforts the delivery and secures a delivery free from problems. During this period extra amount of ghee has to be taken along with the nourishment advised for the seventh and eighth month. Varieties of cereals should be eaten; Regular use of soups is well-advised. Avoid fish, and meat during pregnancy, as it might be harmful for the child. Decrease tea and coffee or totally avoid it as it lowers the weight of the child and leads to several other problems. The pregnant woman must avoid constipation, and therefore, she has to drink more water, as it is as well beneficial to the child development inside the womb. Drink at least eight glasses of water throughout the day. Drink water before and after meals. Skimmed milk or fruit juice is as well helpful. Fat is effective only when it is prepared from pasteurized milk. The child flourishing inside the womb depends on the food consumption of its mother. Do not consume such foods, that will have an unfavorable effect on the child’s health in order to decrease the intake of carbohydrates. Eat green leafy vegetables and a variety of things during pregnancy to get all types of minerals and vitamins. Different kinds of meat involve bacteria called hysteria, that could be risky to the health for the child growing inside the womb. One of the most exciting and challenging things in life to go through is deciding when to get pregnant and planning the pregnancy at the right time. One way is know when your ovulation is and intimate just before your ovulation as the ovulation window is approximately for only 24 hours, while the sperm can last up to 3-5 days once it enters the vaginal area and helps to be in the sexual positions that sperm does not have to defy gravity. I want to say a very big thanks to Dr.walanta for helping me with his Roots and Herbs,today with the help of the herbals medications, i got pregnant and i am so very happy..
My name is scott elizerbeth charlle my partner and I have been trying for a baby for over seven years now, We were going on herbal medicine hope all gets well soon. pregnant woman must add 400 mg of folic acid to your daily diet this can prevent neural tube defects for babies. My simple tips to all, make sure that you do not have anything that can prevent your pregnancy like an untreated infection, a sexually transmitted disease since it can happen without having any symptoms and having the doctor can secure you up with some prenatal vitamins before conception. The upsurge in the basal body temperature is also a signal for the ovulation, and it can be the perfect time to get pregnant. However small increase of temperature cannot be felt, but can be measured by a Basal Body Thermometer. A few couples simply find it tough to get pregnant and need guidance with conceiving more than other couples, and it’s not always easy to pinpoint the causes. There may be your specific case as well.